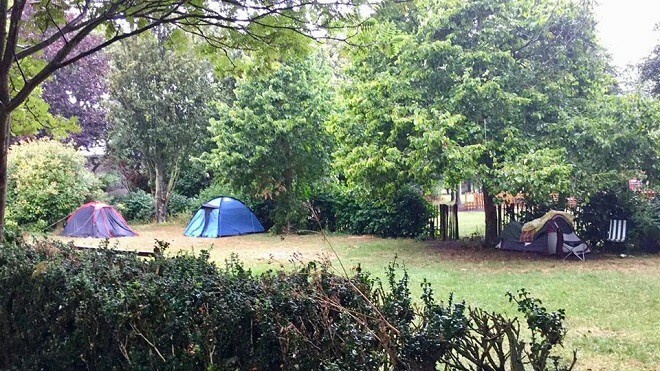 Thanet council says officers are investigating after three tents were ‘illegally’ pitched in Pierremont Park in Broadstairs. Shocked Broadstairs dad-of-four John McCormack reported the encampment to the authority yesterday (August 9) after his 20-year-old daughter witnessed a man from one of the tents coming out of the bushes with his pants down. John, who is the force behind the Skip2bfit workshops, says he had already reported the appearance of one tent around a fortnight ago but no action was taken and now the additional tents have been pitched just as Folk Week begins. 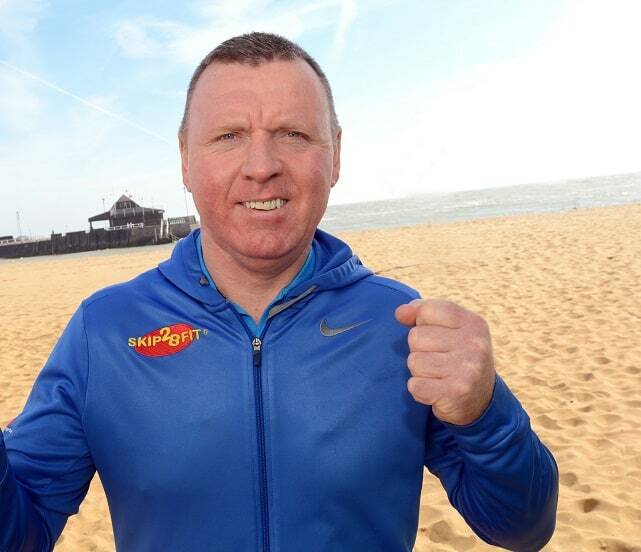 The former heavyweight boxer says he believes those using the tents are homeless and that Thanet council needs to take action. He said: “My daughter had just come back from walking our dog and was shocked after seeing an illegal camper defecating in Pierremont Park! Nearly two weeks ago I reported one person setting up camp in the park and surprise, surprise we now have three tents! “I have now phoned the council three times and got absolutely nowhere! It is a joke when people are paying to camp at Upton School for Folk Week. Thanet council say officers are investigating today (August 9) and that the authority was previously unaware of the unauthorised camp. Homelessness figures for Thanet show a rise of 94% of those sleeping rough in 2016 compared to the year before and the last rough sleeper count recorded 46 people on the street. Research by Shelter also revealed Thanet as in the top ten areas with the highest number of female rough sleepers. Eleven women were recorded as sleeping on the street in Thanet last year. In June this year the government announced the isle would receive £367,000 in funding to be used for homelessness prevention. You won’t find any foreigners amongst them, these are British tramps, feckless layabouts, loser drug, and alcohol abusers, and they come her for their summer holidays! They are all of working age, and could find work, which I know is available, but they won’t all the time people give them money! The 1824 Vagrancy Act is still in force, which prohibits begging, and rough sleeping, but the police will not take action, why not? First of all i don’t see why everyone is kicking up a big fuss over people camping at the end of the day no one knows why they have pitched up camp they could be homeless and have no where to go, but it’s okay for everyone to talk trash about people than to sympathise because it’s okay for people who aren’t in that in that situation sitting in their warm houses with food on the table complaing that homeless people beg and the they’re all drug and alcohol abusers because they’re okay they don’t care about other people’s suffering, it is incredibly difficult to claim bennifits or to get and maintain a job if you are homeless, not everyone who is on the streets is on drugs or an alcoholic, people should be ashamed of their self’s at the end of the day if roles where reversed and it was you on the streets or a loved one you would want people to help, what does it matter if they are camping if their not doing any harm to anyone, they just want a warm dry place to sleep just like you have every night, you should all be ashamed of yourselfs! What ever happened to human decency, helping those in need, pfff you should be ashamed I hope one day you all know how it feels to be in a situation where you have lost everything and need help because u have no money no job because you are homeless and council won’t help you get housing, its pathetic bitching about homeless people when you have something that they would kill to have a warm dry safe place to sleep with food in your stomach!! I totally agree with you, I was living in margate just over a year ago now, and i found myself homeless as the flat i had was being sold. I went to the council i waited there all day just for them to turn around and say they can’t help me as i was not a priority, I am a woman on my own and I have a dog as well that i love dearly, i couldn’t believe that they wouldn’t help me. Fortunately after a few weeks of being homeless, I am now staying with my friend. But do need to get my own place, also I am now working, and still can’t get anywhere. Both my mum and I were refugees during the war because we were homeless, after our home was bombed out. Five women living in a 3 bed terraced house in Stoke on Trent was where we ended up, and any amount of children having to be fed on minimal rations! When we returned after the war we had nothing except what we stood up in, and there was NO welfare state! We had to just get on with it, half starved, and even coal was rationed, but I don’t remember seeing any beggars in the street during the 40’s, 50’s 60’s 70’s 80’s and 90’s, this is a comparably recent phenomena, and yes I have been a tenant in the past, but there was no housing benefit. Why do these people want benefits, when they are of working age, and I know there is plenty of work in Thanet if they got off their backsides, and stopped expecting people to fund their drink and drug habits! I was homeless once, after our house was bombed, and my Mum and I became refugees or evacuees as we were called. After the war we returned and only had what we stood up in, like millions of others who had been made homeless by bombing, we just got on with it. My Dad had been fighting in France with his regiment, and when he got back we would walk along train tracks picking up bits of coal that had fallen off the trains, as coal was rationed, and the only means of heating! Rations were reduced after the war, and we had to grow our own food, and raise chickens and rabbits, in any available space! There were no beggars on the streets then, or during the 50’s, 60’s 70’s 80’s and 90’s. They seem to have appeared since 2000. We never had any housing benefit, because before the welfare state in 1948, we had to just get on with it. Why these so called homeless seem to think we tax payers owe them a living is beyond me! They could do with six weeks basic army training, without weapons, until they get fit, and regain their self respect! Where do they get their figures from as the number of rough sleepers is a lot higher. People are sleeping in tents in so many graveyards and doors ways. They pitch their tents in a group for safety as the number of violent attacks and arson incidents is on the increase. The council don’t care if your homeless and as someone else stated you don’t see a foreign homeless person. If the council didn’t house them then we wouldn’t hear the end of it being down to racism. How about you look after the people that have lived here all their lives. Not all homeless people have spent their lives on drugs and unemployed. Blame the scum Politicians elected to serve on the Council and the twp MP’s Both are Tories and The Party Of social division since Thatcher has been responsible for the progressive Budget cuts to Police Fire & rescue, Armed Forces & all social services including the Disabled by their deliberate Fascist division from the Gestapo manual – The bastards have No guts to face the public and are all wind & piss.